Forget that he is just in his 20's Valiant handles the mic like a boss! His vocals will thrill you. Those who know him, describe him as a jovial, articulate, dramatic and an outspoken young singer songwriter with a long and promising future ahead. His lyrics are not only written with passion he carries that passion successfully through to his vocals as well. But don't take our word for it, hit the >>GO<< button and take a listen to his recent track "THIS IS WHAT I WANT"
Currently signed to Roael entertainment, many doors have been opened for this young man in many ways since that deal. 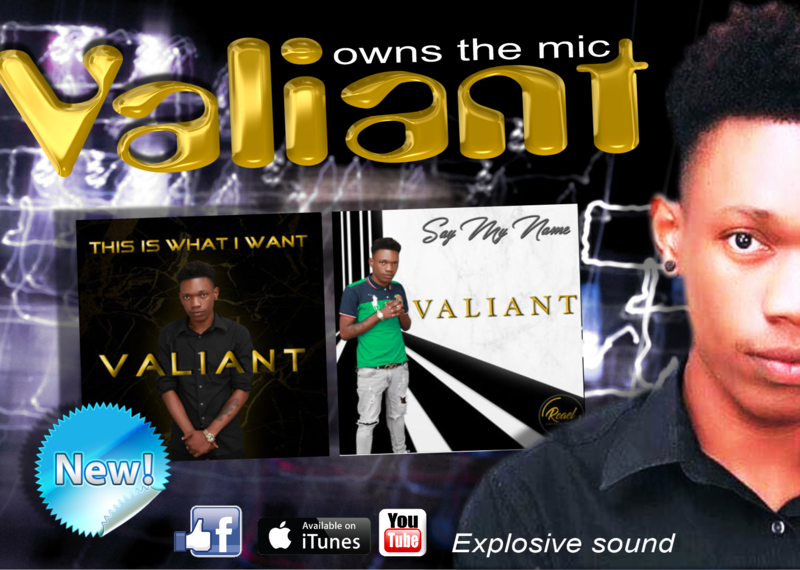 Three (3) songs have been released for Valiant. “Say my name” "This is what I want” and "lonely type. ” All tracks are getting great feedback from his fans. Roael Entertainment is a Record Label determined to bring you the fans of music the best music possible. In collaboration with Uptown Skunkaz, we provide Dancehall and Reggae beats of the highest quality for an artist as well as record labels. The production on our beats is like no other.